Gene Lischer, 95, beloved mother, grandmother and great-grandmother, died Wednesday, January 23, 2019 at Genesis Medical Center, East Campus, Davenport. A memorial service will be held, Thursday, January 31, at Ridgecrest Village, 4130 Northwest Blvd., at 2:00 pm. The family will greet friends at 1:30 p.m. Halligan McCabe DeVries Funeral Home is assisting with arrangements. Gene was born and raised in St. Louis and graduated from Washington University. She married her husband Jim Lischer in 1946 and settled in Davenport for the next 73 years. After their children were grown, they enjoyed twenty winters in Tucson where they explored the Southwest culture and desert and collected Zuni fetishes. A woman of many enthusiasms, Gene loved antiquing, bird watching, bridge, sudoku puzzles and studied lapidary arts and basketry. She volunteered with the Altar Guild and St. Luke’s Hospital and was a member of Questers and PEO. 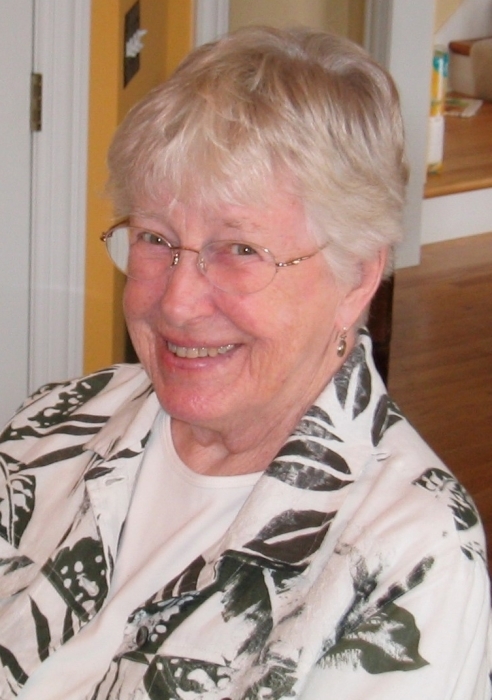 Preceded in death by her daughter, Martha Lischer Durgin (husband Bruce), she is survived by her husband Jim, son Jeff Lischer (wife Mary) of Washington, D.C., daughters Nancy Lischer of Chicago and Kate Walker (husband David) of St. Charles, Illinois, five grandchildren, five great grandchildren, and a lifetime of friends. Memorials may be made to the American Heart Association or the Ridgecrest Foundation.